Canadian Solar CS6P-225P Polycrystalline Panel Pallet has 20 panels, 4500 total watts, priced at $1.929/W. The product will be shipped directly from East or West coast warehouses to US and Canadian customers . One pallet has 4500W with 20 Panels. 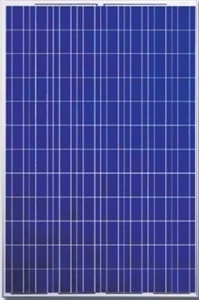 CS6P is a robust solar module with 60 solar cells. These modules can be used for on-grid solar applications. Our meticulous design and production techniques ensure a high-yield, long-term performance for every module produced. Our rigorous quality control and in-house testing facilities guarantee Canadian Solar's modules meet the highest quality standards possible.